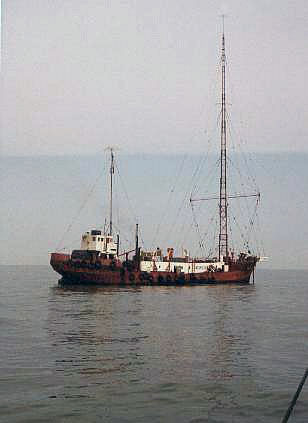 The BBC's nemesis: Radio Caroline's offshore vessel, late 1960s. (c) 2011 Wikimedia Commons. Uniquely amongst the major world powers, Britain’s international image is disproportionally defined by its broadcasting capabilities. The BBC’s announcement on 11 August to establish World Service FM stations in the Libyan rebel-held cities of Benghazi and Misrata (91.5 Arabic and English) raised few eyebrows; observers have come to expect the World Service to install itself in any democratic-leaning region. ‘We know the people of Libya are keen listeners of BBC Arabic’, Liliane Landor, BBC controller for languages, noted, ‘The new FM stations will give the people of Benghazi and Misrata somewhere to turn to for news they can trust and know is accurate’. Similarly, within weeks of the collapse of Iraq’s totalitarian Ba’ath regime, the World Service opened FM repeater stations throughout the country. In 2005 the World Service and the British Department for International Development (DfID) established Al Mirbad Radio, serving Basra, Missan and Dhi Qar provinces. Locally produced Al Mirbad Radio rapidly became one of the most popular stations in Iraq. The BBC continues to organise and train new Iraqi media groups, with special emphasis on women and journalistic-independence. Historically, the BBC’s influence was the result of a government policy that remained largely unchanged until the 1970s. A state institution, the BBC was conceived to ‘speak peace unto the nation’; to be the nation’s voice, a symbol of Britain’s strength, culture and public image, both at home and abroad. A broadcasting monopoly theoretically ensured this cohesive voice. The BBC’s ubiquitous control began to falter after the Second World War. From 1955 onward, ITV competed with BBC Television for viewers. But the radio monopoly survived until 1972, when the Sound Broadcasting Act extended the Television Act 1964 to radio. The Independent Television Authority was renamed the Independent Broadcasting Authority, charged with the registration, organisation and monitoring of commercial (non-BBC) radio stations. 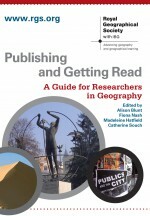 The debates leading to the Sound Broadcasting Act highlighted the deep extent to which the BBC had become an integral part of British domestic and international life – an inimitable British geography with distinct cultures, populations and regulations. But what catalysed Parliament’s about-face in British broadcasting policy? Such recent examinations as the 2009 film Pirate Radio have rekindled interest in the broadcasting ‘war’ that led to the de-monopolisation of British radio and the alteration of British broadcasting geography. In ‘Sinking the Radio “Pirates”: Exploring British Strategies of Governance in the North Sea, 1964-1991’, Kimberley Peters (Royal Holloway) critically examines the vital role offshore pirate radio played in fashioning contemporary British maritime policy. As Peters points out, when the first illegal offshore pirate station (Radio Caroline) broadcast on Easter Sunday 1964, the BBC was reeling from a precipitous drop in listeners. A network that principally catered to middle-aged, middle-class audiences, the BBC was increasingly perceived as being ‘out-of-touch’ with 1960s youth culture, which demanded contemporary rock-n-roll artists. Situated on converted fishing vessels anchored beyond Britain’s three-mile nautical limit, Radio Caroline and its cohort ‘flouted British rules and laws’, but nonetheless placed intensive pressure on the BBC to establish programming geared to a new, revolutionary generation (pp. 281-83). The Area article also critiques the apparent contradiction between Britain’s historical support for ‘freedom of the seas’ and its determination to eliminate ‘obstacles to free navigation’ which, for purposes of convenience, included the so-called “pirate” radio stations. This approach proved both awkward and questionable: Peters argues that ‘certain methods of governance that were enacted were inherently problematic, challenging therefore Britain’s long history as a protector of the high seas’ (p. 283). London’s frustrating experience in stopping the nautical broadcasts led not only to Britain’s eventual acquiescence to commercial radio, but also to policy-makers’ review of how, where and when maritime law can be applied. ‘Al Mirbad: Local Radio for Southern Iraq’, BBC World Service Trust, accessed 12 August 2011. McAthy, Rachel, ‘World Service Launches on FM in Libyan Cities’, Journalism.co.uk, 11 August 2011, accessed 12 August 2011. ‘More About Our Work in Iraq’, BBC World Service Trust, accessed 12 August 2011. ‘Our Work in Iraq’, BBC World Service Trust, accessed 12 August 2011. Peters, Kimberley, ‘Sinking the Radio “Pirates”: Exploring British Strategies of Governance in the North Sea, 1964-1991’, Area 43.3 (September, 2011): 281—87. ‘Sound Broadcasting Act 1972’, Parliament 1972 Chapter 31 (London: Her Majesty’s Stationary Office, 1972), pp. 477—96. This entry was posted in Area and tagged BBC, BBC Arabic, BBC World Service, Britain, Cultural Geography, Culture, Development, Europe, geography, Geopolitics, London, media, Networks, Pirate Radio, place, Political Geography, politics, Radio Caroline, Social Geography, United Kingdom on August 12, 2011 by Benjamin Sacks.